Last Saturday evening, if you happened to look outside and had a clear view there is no way you could miss the Venus-Moon close encounter in the dark blue sky. But just in case it was cloudy, or you weren’t paying attention here it is. For those curious on the camera setting, the above is cropped from a single frame at 33mm f/4.5 1/30sec and ISO800 with Canon 80D. Moving up to 85mm gives you the image below, also at 1/30sec and ISO800. Both images were hand-held from a bedroom window. Could a tripod have helped? Sure, but I figured I could do just fine , especially with image stabilization enabled on the lens. 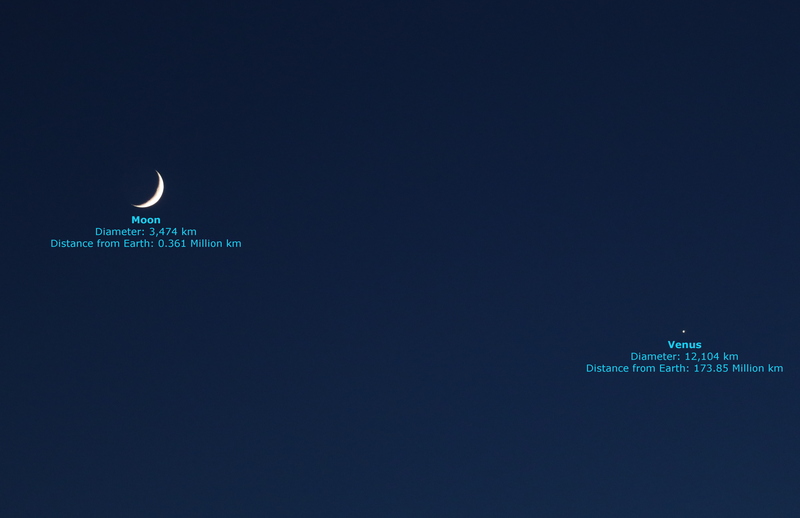 To put a bit of perspective on the distance of these two heavenly bodies and their apparent size in the sky I’ve added a bit of information on the above image. 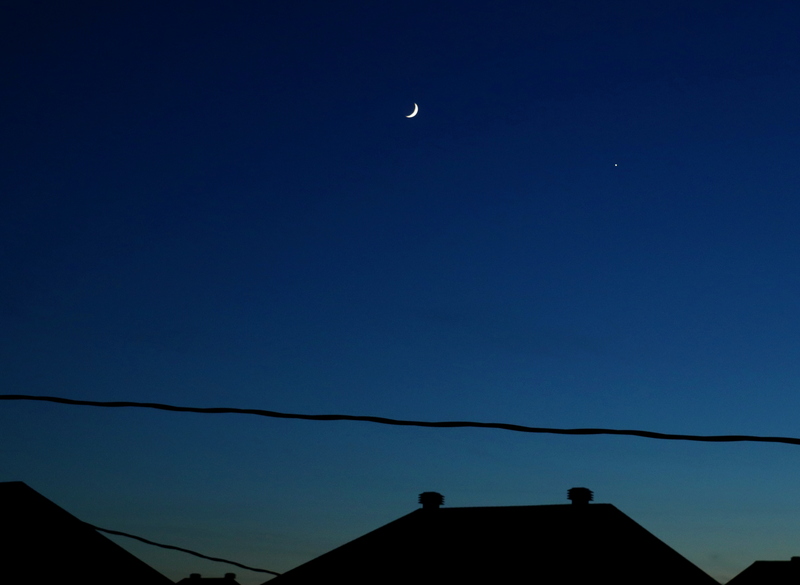 While Venus may be nearly 4 times larger in diameter, it looks quite small next to the Moon in the sky. This entry was posted in Events, Observing, Photo and tagged Astronomy, Astrophotography, Moon, Night Sky, Venus by Benoit Guertin. Bookmark the permalink.